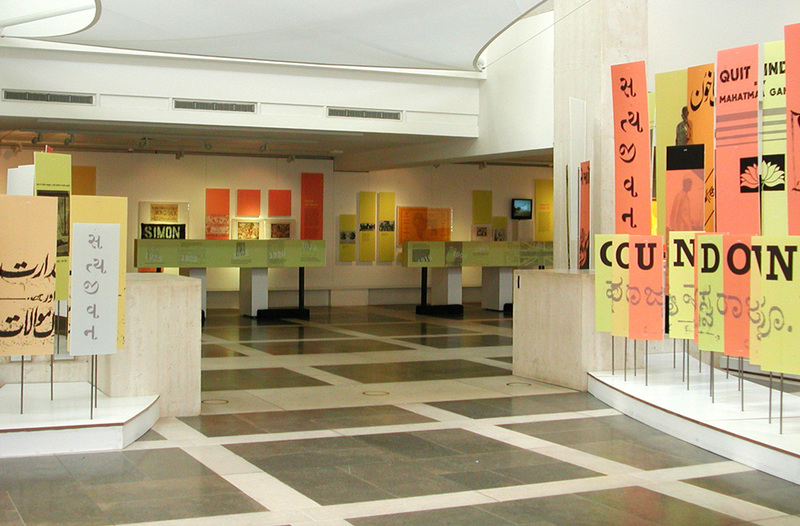 A low budget exhibition displaying the Library's collection of printed propaganda ephemera used in Indiaês struggle for independence. 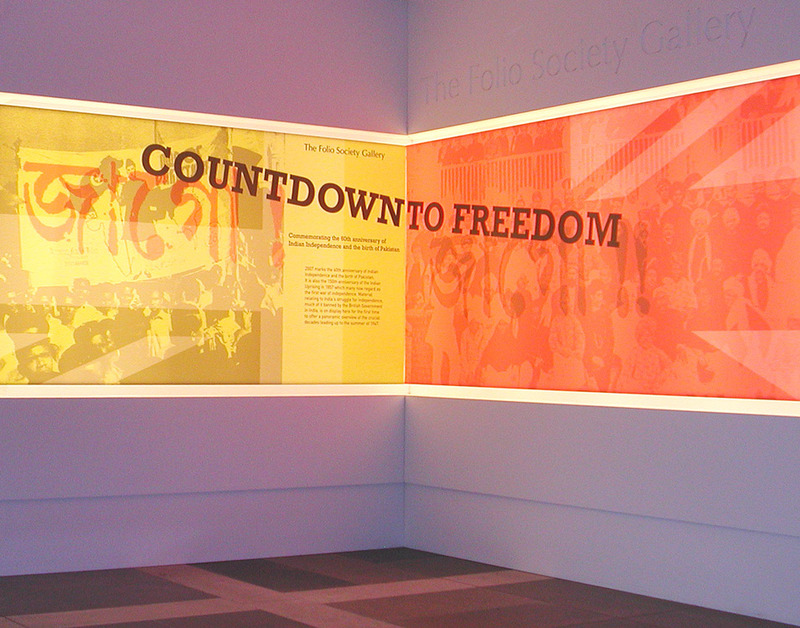 Bold backlit graphics punctuated the start and the end of the exhibition, while supporting imagery, printed direct to lightweight Correx banners, emphasized the sense of urban protest and unrest as well as offering a strong directional approach to the heart of the gallery. 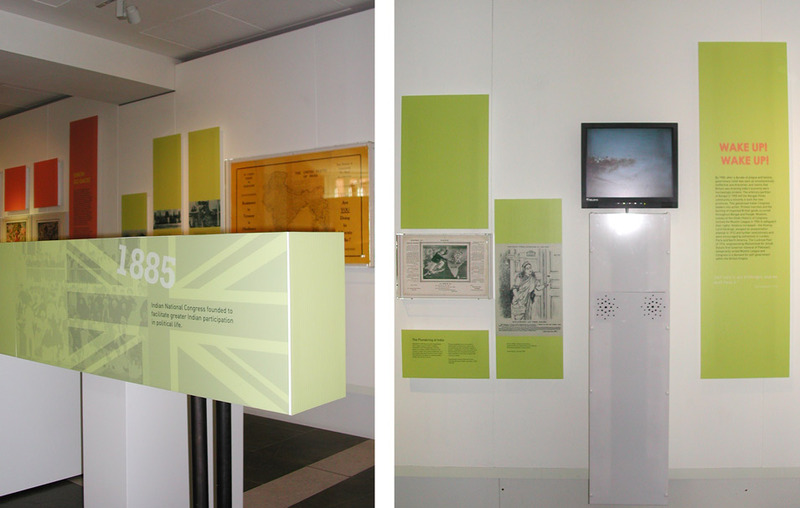 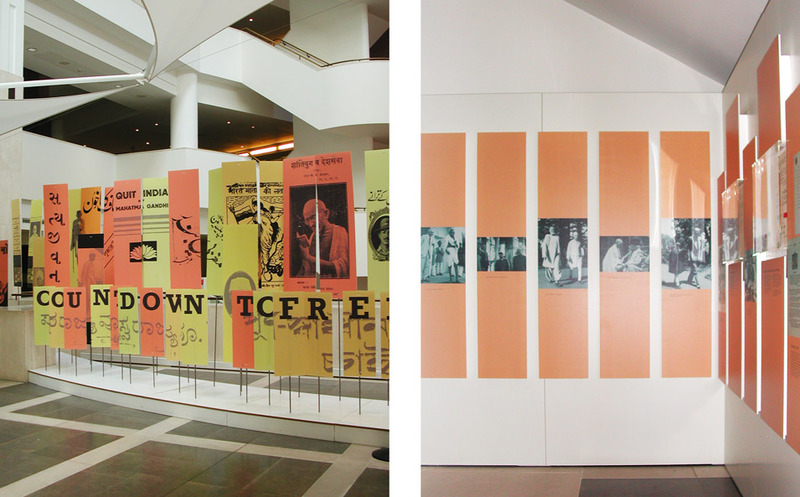 Role: Graphic design for exhibition and supporting literature, artwork, production and installation monitoring.